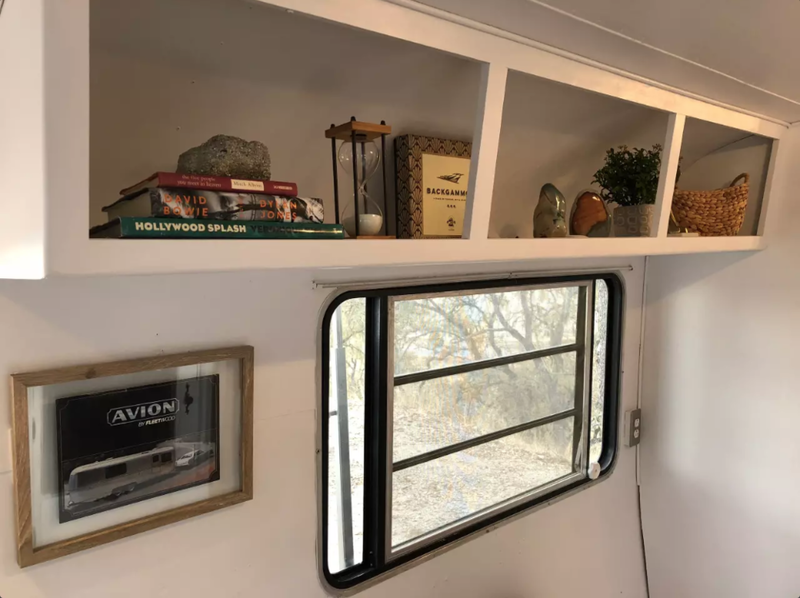 Sleep beneath the oaks & stars in our three (and counting) fully restored and stylishly designed vintage trailers. 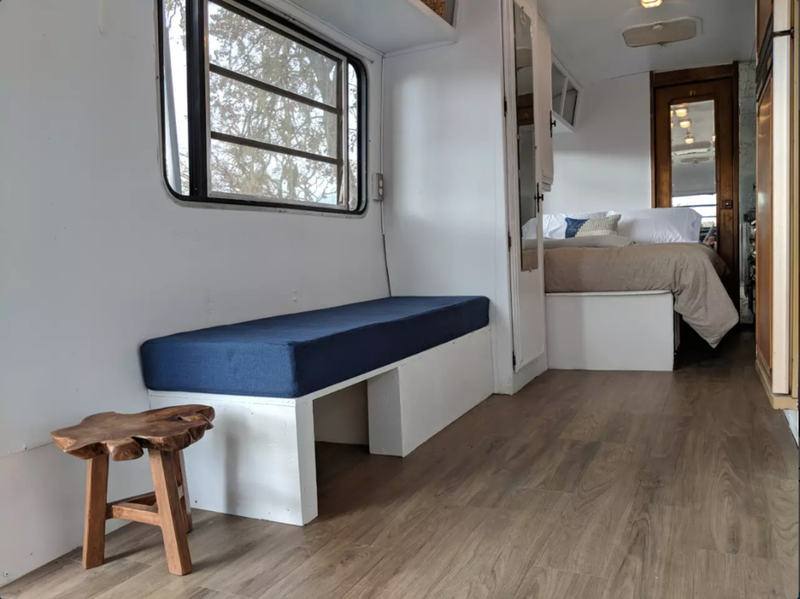 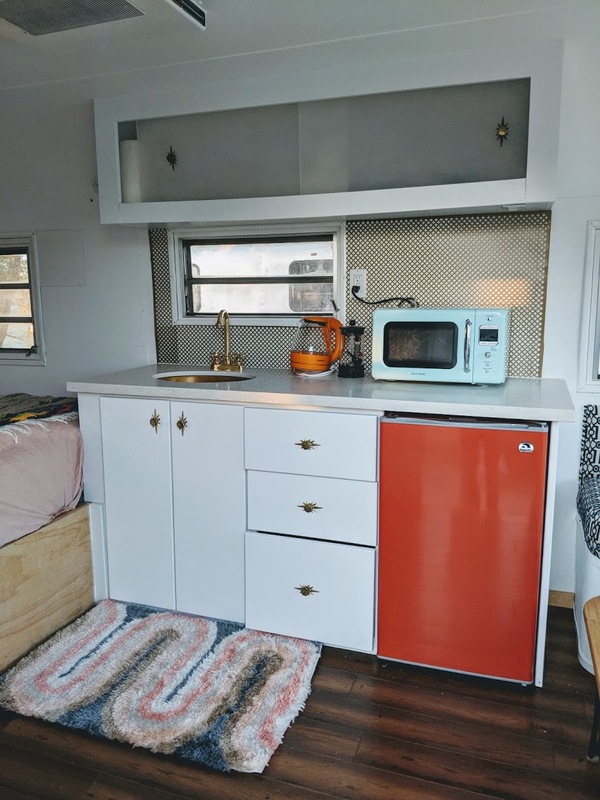 Each trailer sleeps four, comes equipped with a kitchenette, bathroom, and hot shower. 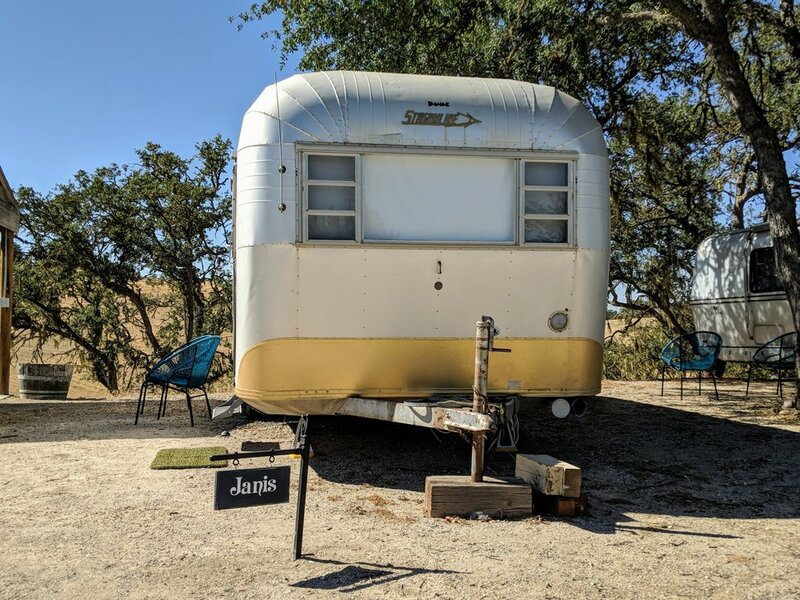 The property has many picnic benches, fire pits, bbq's, and lounge areas to read, relax, soak in nature, and look out on our incredible panoramic views of wine country. 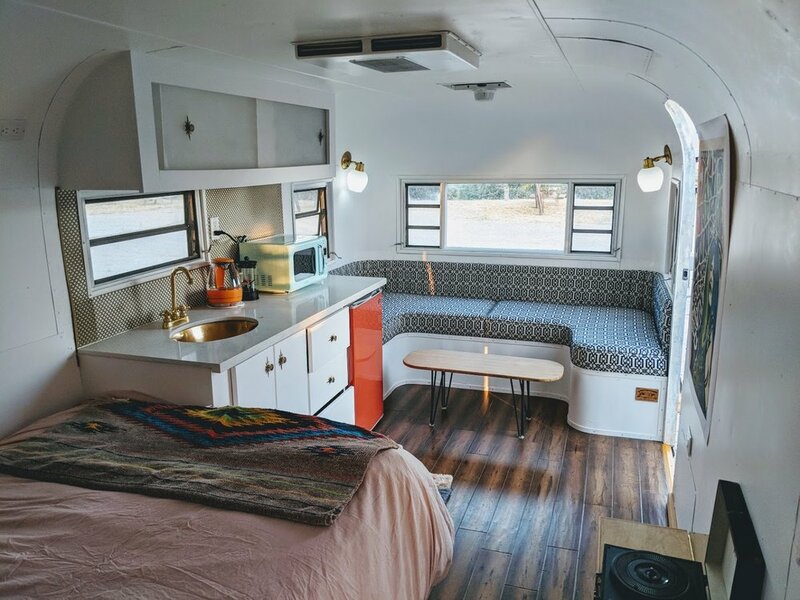 A super funky fully restored 26' Streamline trailer, named and styled in the free spirit of "Janis" Joplin. 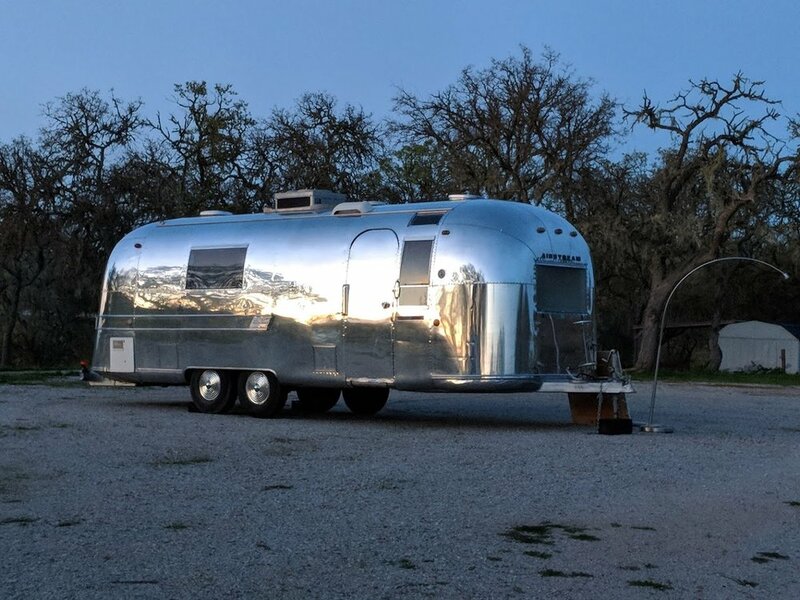 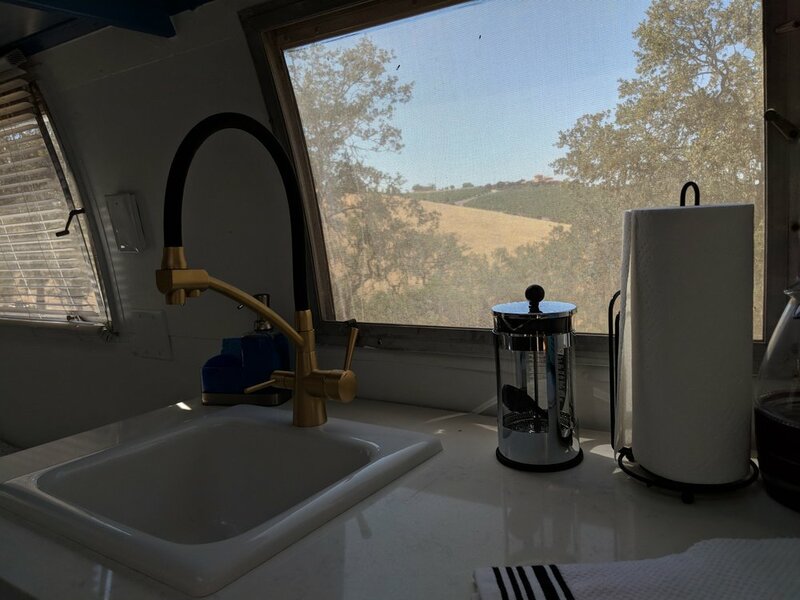 The designer trailer sits on the end of the 30 acre ranch under moss covered oaks with epic sunset views. 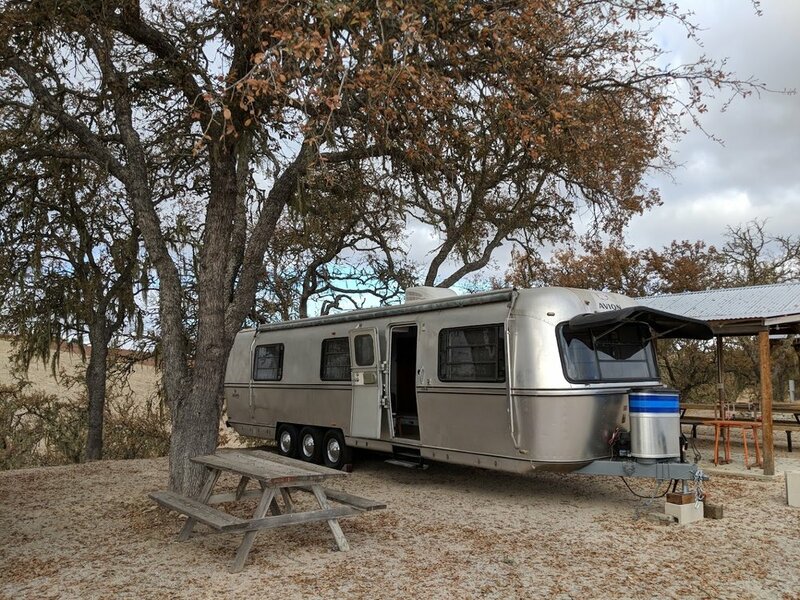 Featuring a double bed, fold down queen, full kitchen & bath, & adjacent pergola with a grill and dinner table. 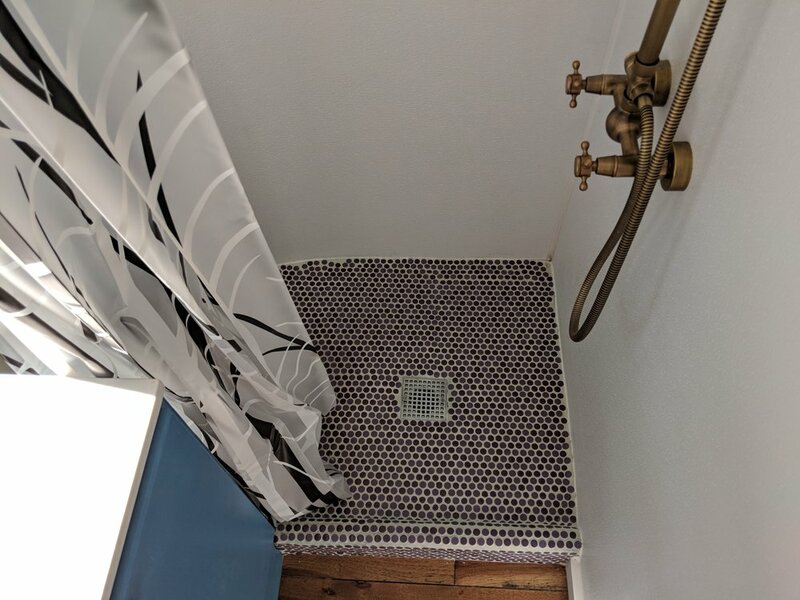 Steps away there is an additional freestanding bathroom, shower, washer & dryer. 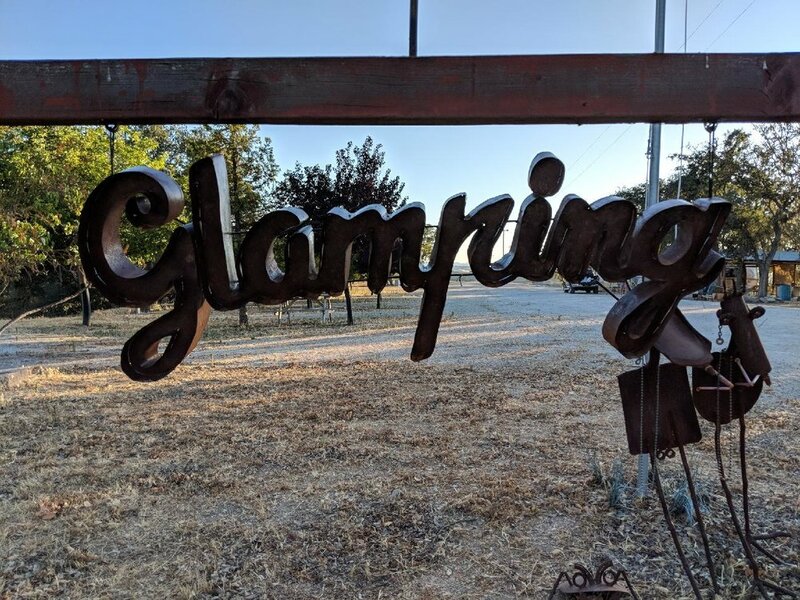 Enjoy our decor, fire pit, hiking, tennis court, and sunset pergola views. 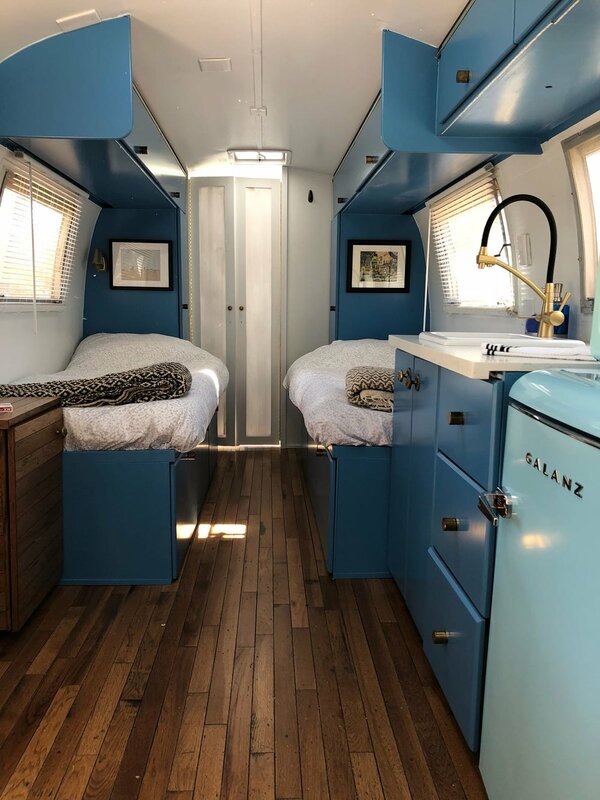 The largest of our vintage trailers, Bowie is a super cool fully restored 34' Avion trailer, named and styled after the late legend David "Bowie". 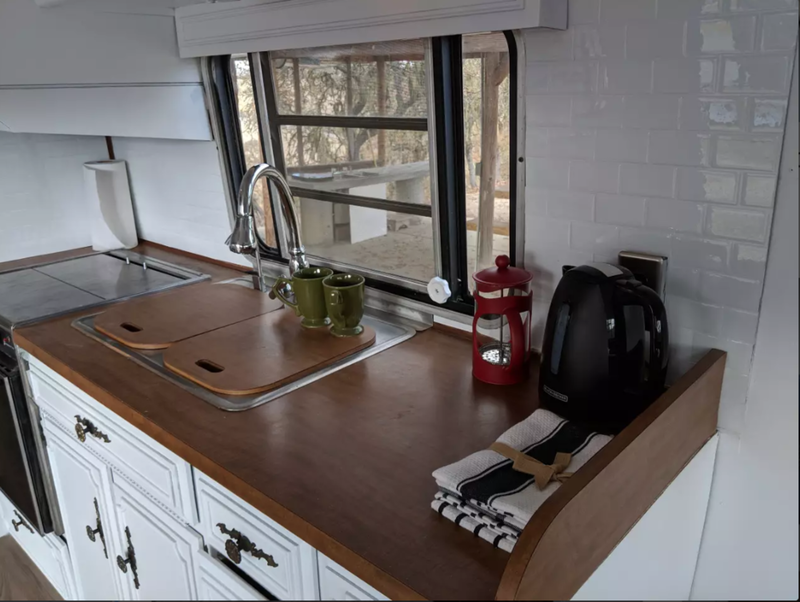 There's a double bed, fold down queen, a full kitchen & bath, dining table for 5, & adjacent pergola with a grill and dinner table. 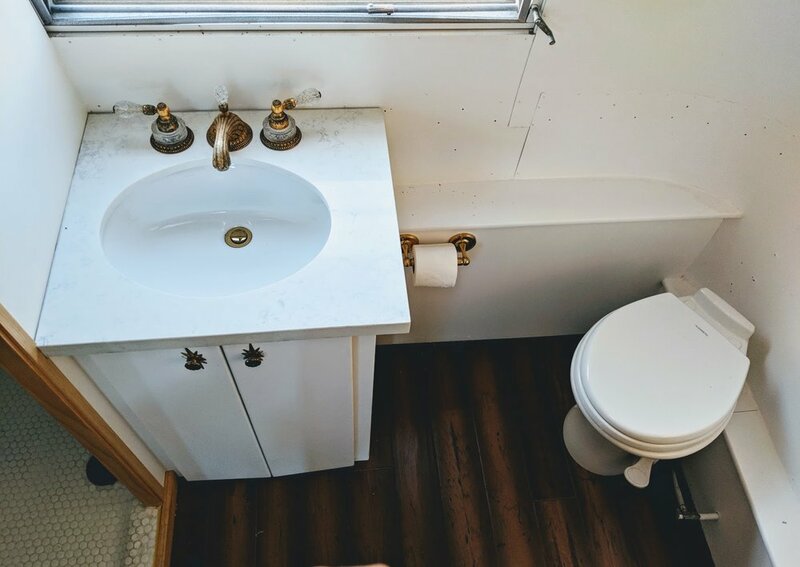 Steps away there is a freestanding bathroom, shower, washer & dryer. 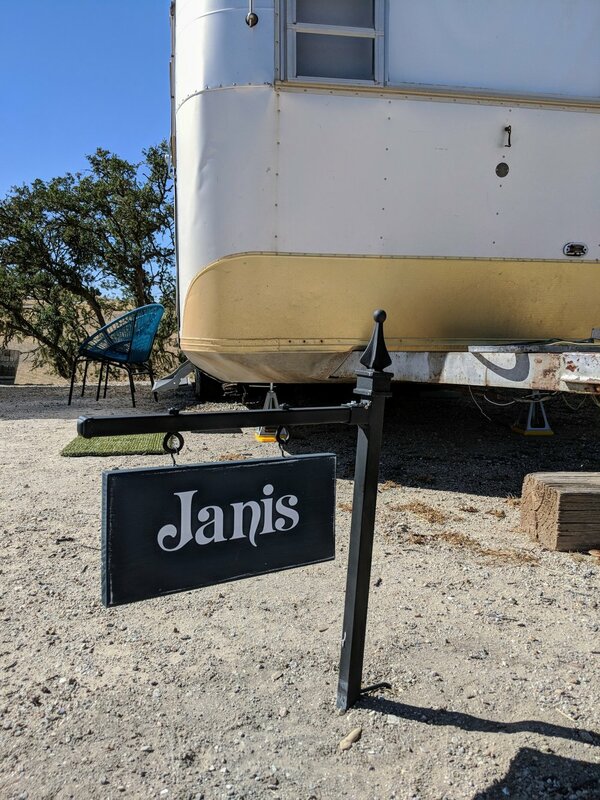 Enjoy our decor, fire pit, hiking, tennis court, and sunset pergola. 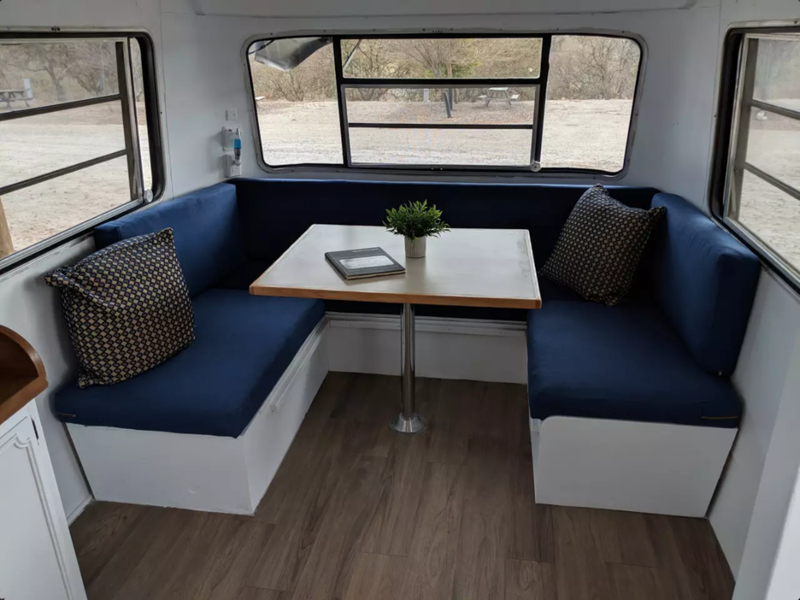 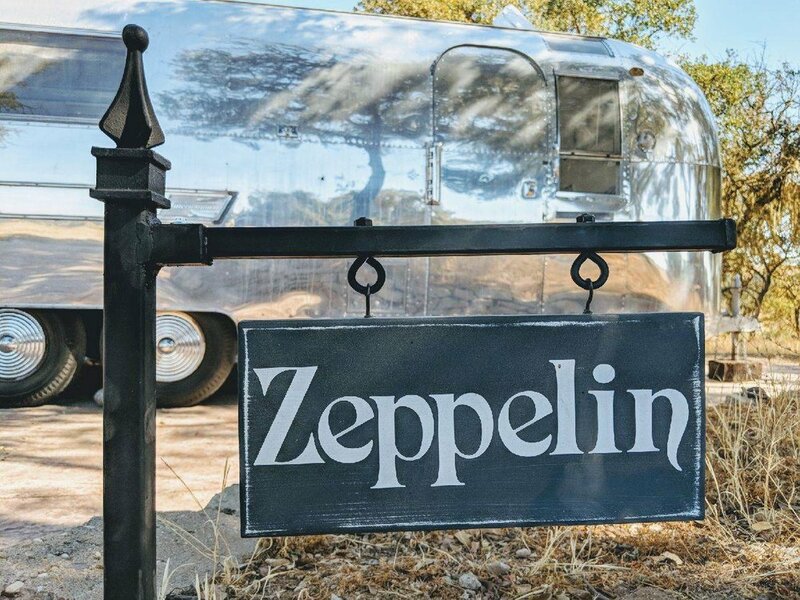 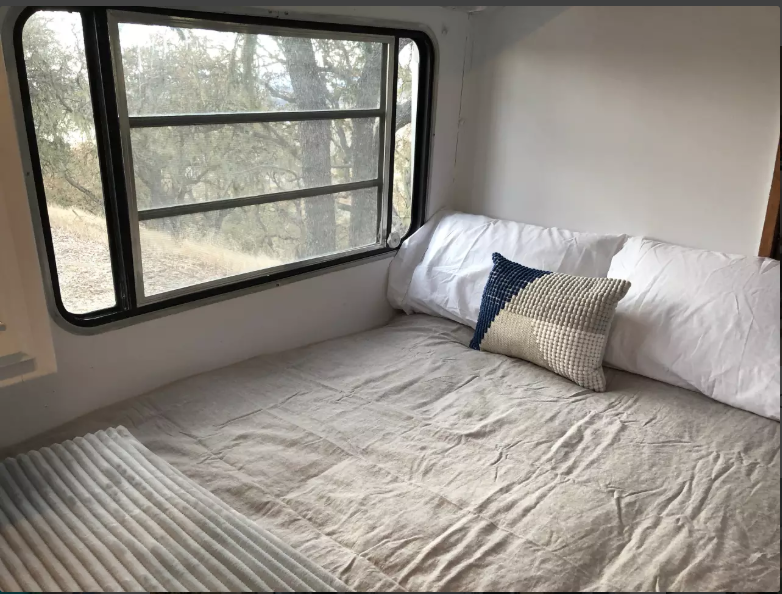 Zeppelin is 26' feet and has two single beds plus a convertible couch that sleeps one more. 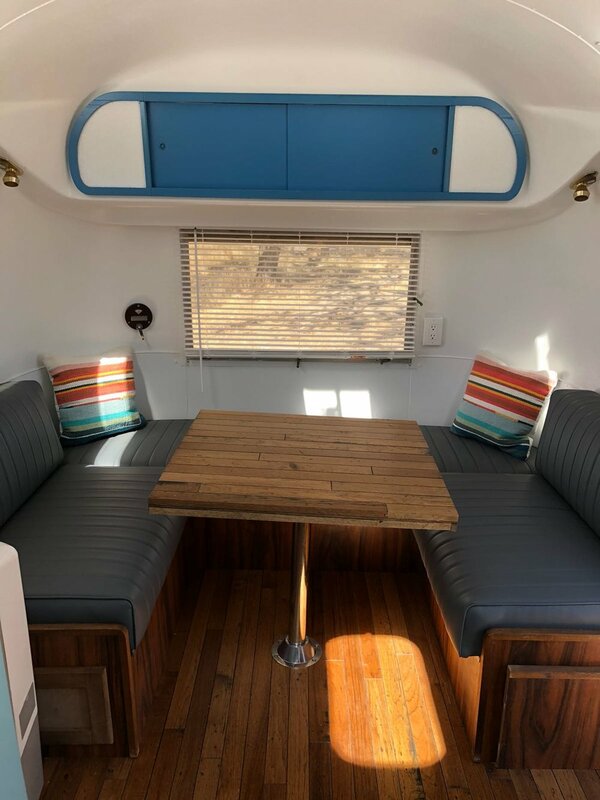 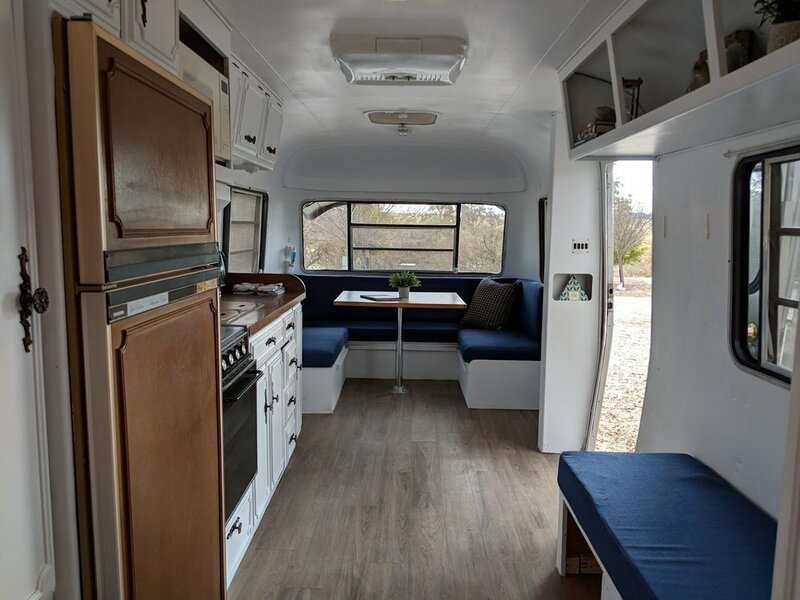 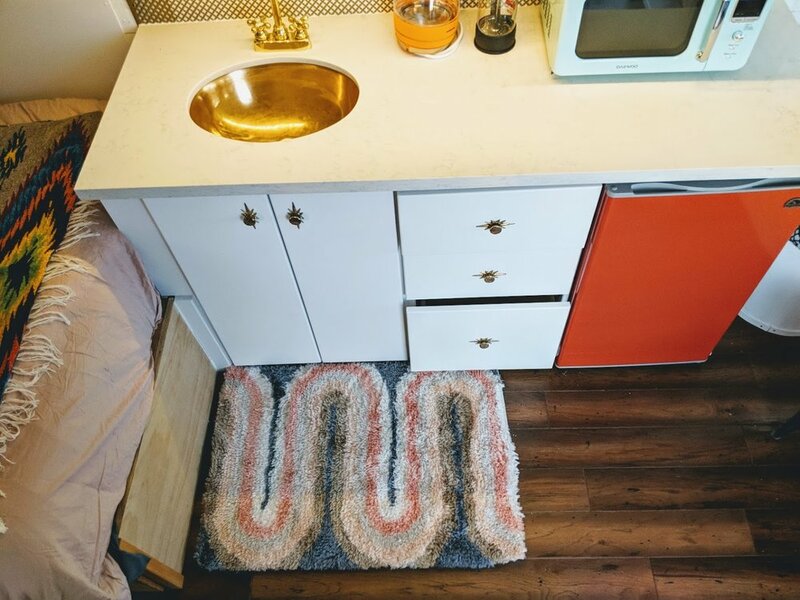 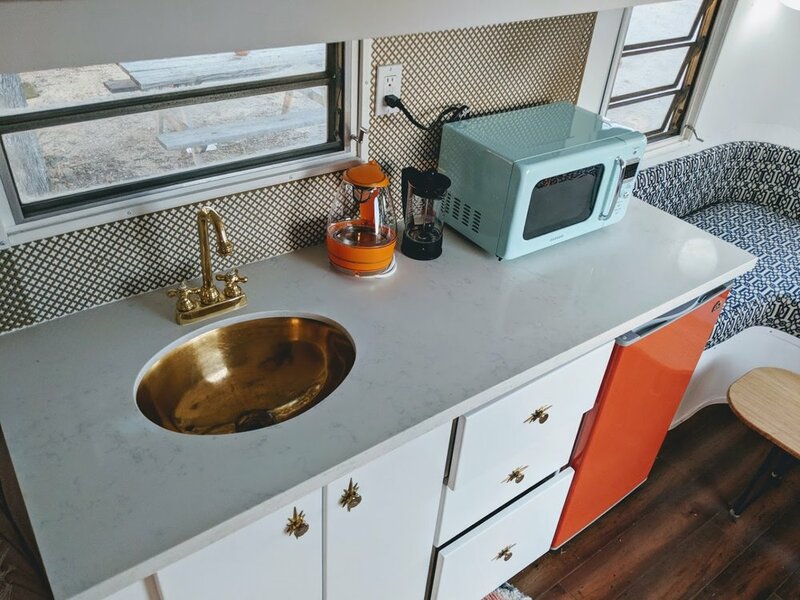 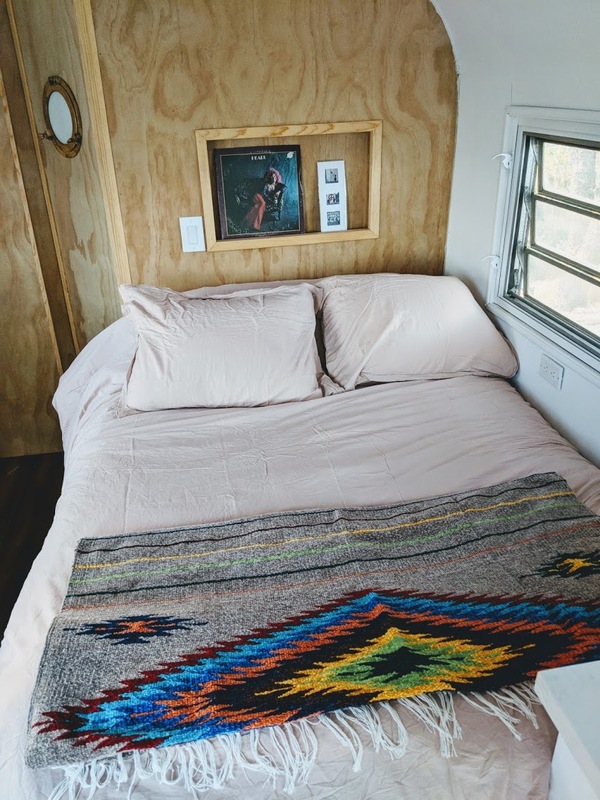 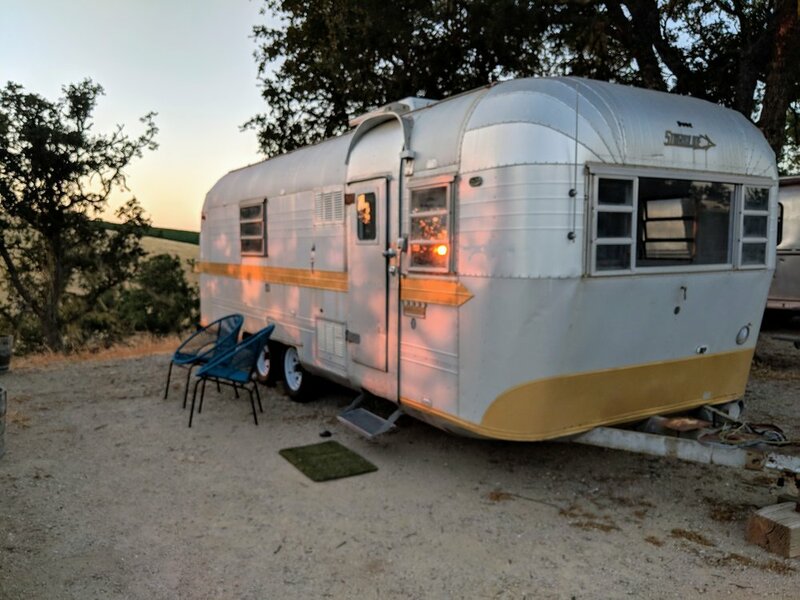 There's a kitchenette with a vintage fridge, sink, hot water heater, french press, microwave, utensils (includes wine opener ;) and everything you'll need for an amazing glamping experience. 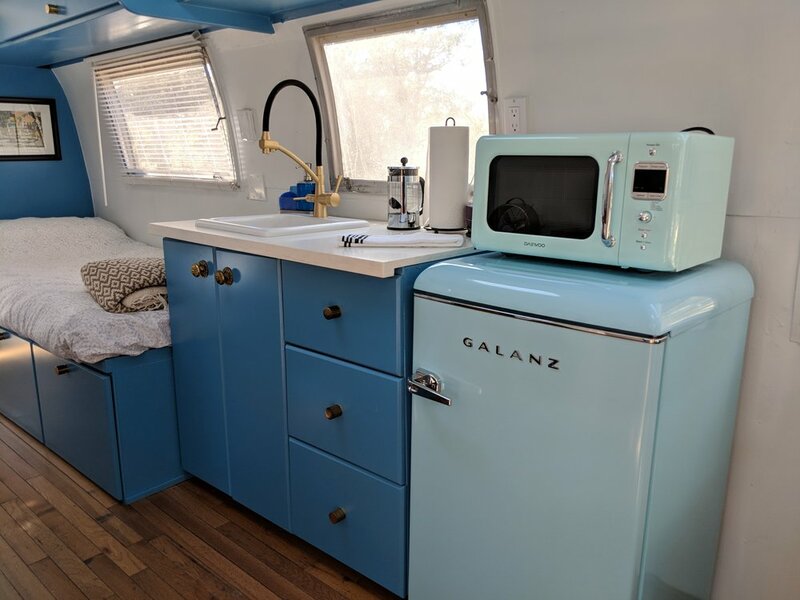 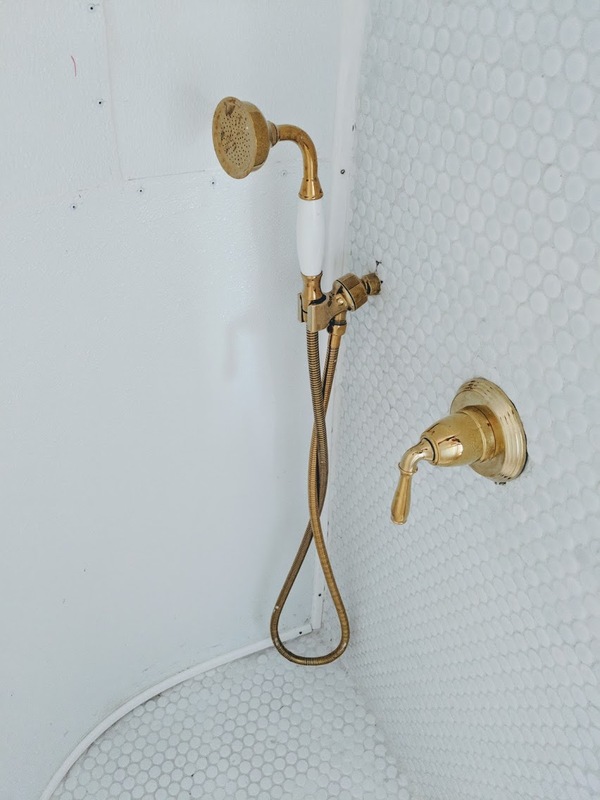 She has a full bath, with a purple penny tile shower, sink, and flushing toilet.